Fraxinus pennsylvanica ‘Urbanite’ is a fast growing shade or specimen tree to 8m suitable for hot climates. With a good pyramidical growth habit and deep glossy green foliage Fraxinus pennsylvanica ‘Urbanite’ is widely used as a street tree as well as a shade tree in parks and medium to large sized gardens. Autumn tones are a bronze to yellow and flowers although insignificant are a yellow to green. Growth rate is moderate, however will be determined by soil and climate conditions. Over time Fraxinus pennsylvanica ‘Urbanite’ will reach a height of around 15m with a crown of 8m. If pruned well in the wholesale nursery it should have a good branch structure and require little attention after planting other than remedial pruning. Potted specimens seem to transplant well and with some initial care can put on good growth in the first season. 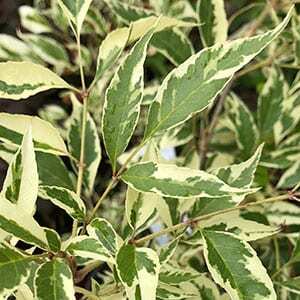 Fraxinus pennsylvanica albomarginata with its variegated foliage is a very attractive addition.